The KICK Triumph 55-inch foosball table offers the quintessential foosball experience in the comfort of your own home. 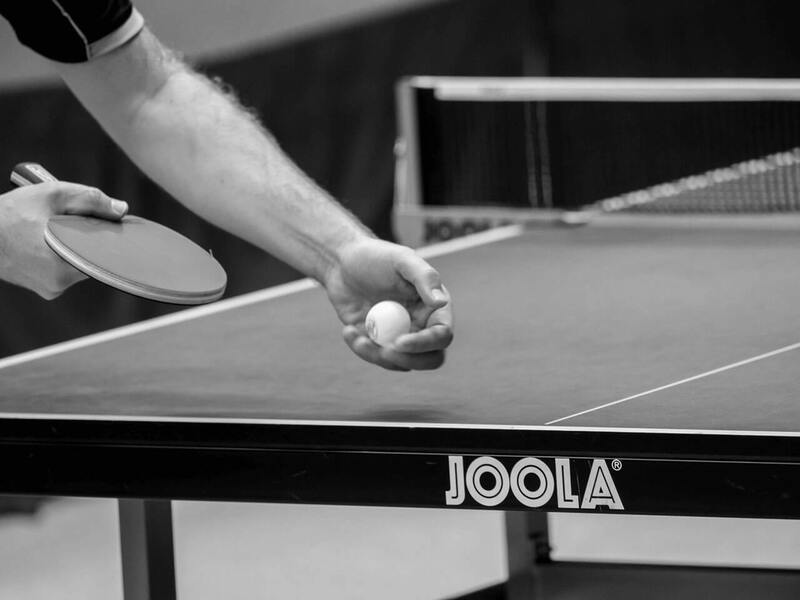 With a strong cabinet and plenty of accessories, this is a table that can stand up to the most competitive matches. Couple that with amazing customer service and a lifetime warranty and you have the only foosball table you will ever need. Walk into any bar and there is a high possibility that you are going to see a foosball table. The game has become popular with younger patrons in particular, as it emulates soccer without the need to get kitted up and go out onto a pitch. Instead, you can play a competitive game that takes skill and more than a little bit of luck with your friends. It’s easy to pick up, too. That has led to the game becoming just as popular among youngsters as it is for people who want to have a little fun on a night out. But what if you want to bring that fun back home? Surprisingly, you won’t need to spend a lot of money to bring foosball into the home. We’ve pulled together three of the best foosball tables available for you to take a look at. The Dynasty 54-in Foosball Table certainly has all of the makings of a great foosball table. You can look at this table and think that it would not seem out of place in a bar or similar setting. The Dynasty’s main attribute is its sturdy frame. Anybody who has gotten into a heated foosball game before will know just how important it is to have a strong table. The Dynasty’s frame uses MDF that has certification from the California Air Resources Board (CARB), which certifies the frame as offering no threat to air quality. The same is true of the tapered legs that form the base of the table. 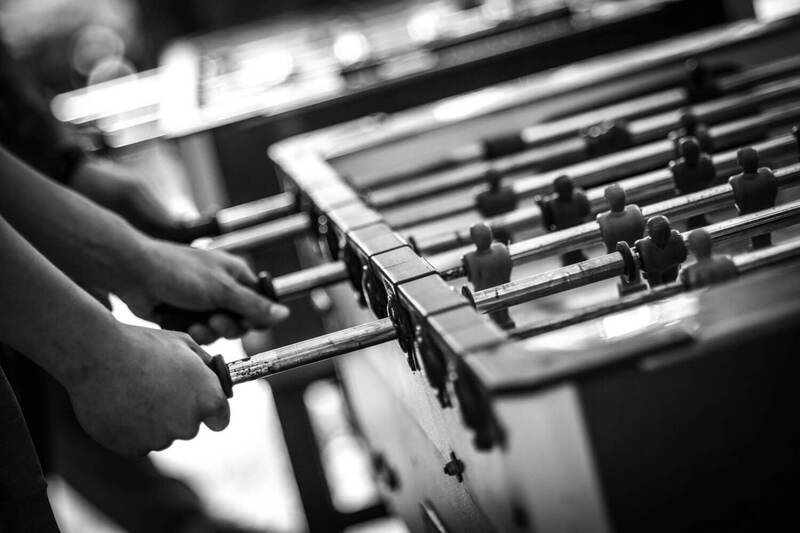 Together, the frame and legs offer the sturdiness you need when playing foosball. They look the part too. The cabinet and frame have a gorgeous dark cherry finish, whereas the legs are black. So, what about the quality of the game? Well, the Dynasty table comes with 13 players on each side. You may think 13 is a strange number, as a soccer team should have 11 players. The reason the table has 13 players for each side is that it features a three-goalkeeper set-up. This offers an interesting twist to the game and you can choose to play with a single goalie in the center or with all three. Beyond that, the table offers everything else you need. 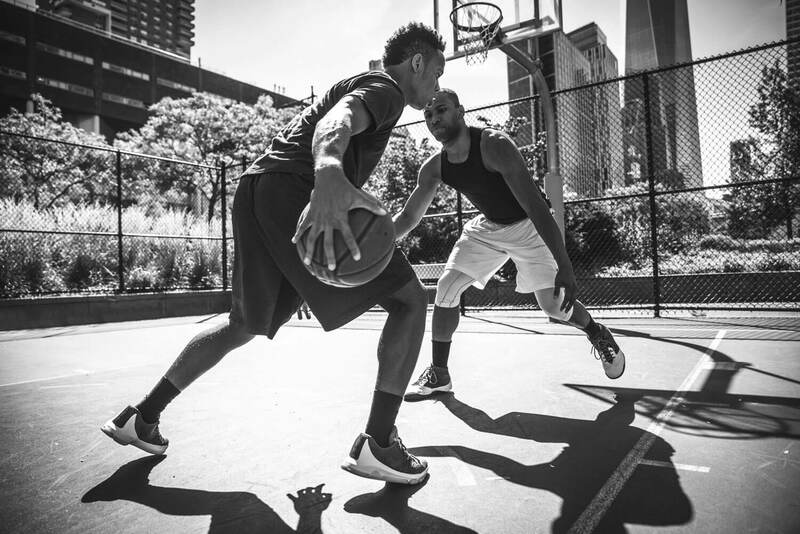 The sliders move smoothly, so you won’t end up getting players stuck in a position when you need to react to a shot. The table also has an abacus scoring system so you can keep track of who’s winning. The Dynasty 54-in Foosball Table comes with two foosballs and a limited warranty of 180 days. It also has a nice, mid-range price, coming in (as of this writing) at $229.95 with free shipping. 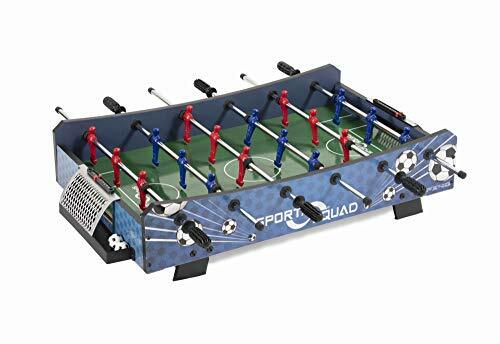 The Sport Squad FX40 Foosball Table is ideal for those on a budget who still want to enjoy a little foosball at home. You will notice straight away that the table does not have the typical set-up. Instead of long legs, it has four shorter legs that have rubber pads on the bottom. This ensures it doesn’t scratch any floors or tables while in use, plus the rubber keeps the foosball table in place as you play. This also means you can put it on any surface, from the floor through to a dining room table. Portability is the main advantage of the FX40. Essentially a standalone foosball cabinet, you can take it pretty much anywhere and get a game of foosball going in a matter of seconds. Though it is a touch smaller than regulation foosball tables, you won’t notice much of a difference when you start playing. The build quality is also high, particularly for a foosball table at this price point. 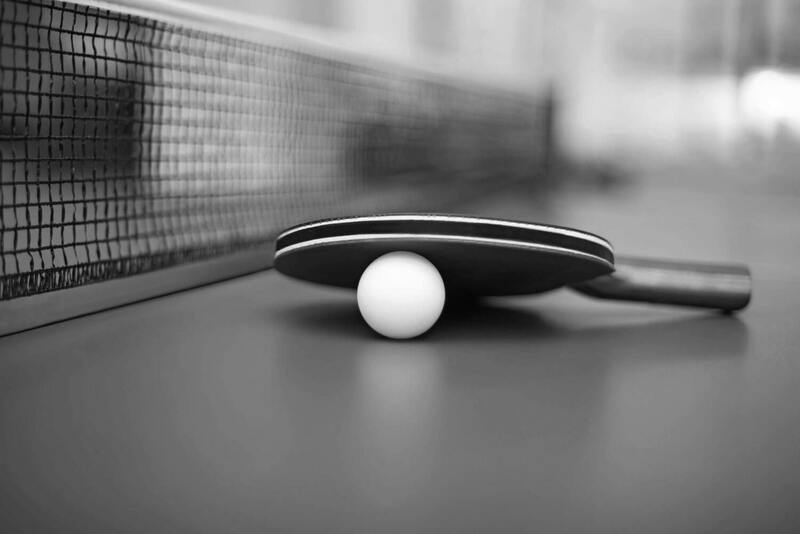 The rubber grips on the handles ensure you don’t slip during the match’s crunch moments. You’ll also find the chrome-plated steel rods spin quickly, so you can hit snap shots without worrying about the table jamming. Plus, the plastic molds used for the players are strong and can withstand lengthy sessions. The table also has the same three-goalkeeper setup as the Dynasty, so you can handle difficult corner shots better or stick to the traditional single goalkeeper if you prefer. Costing $76.84, as of this writing, the FX40 is a great choice for people who want to enjoy a few games of foosball without breaking the bank. It’s also an excellent choice for children, as they can place the table on a surface that suits their size, rather than trying to play on a table with large legs. The first thing you will notice about the KICK Foosball Table is its chunky cabinet. 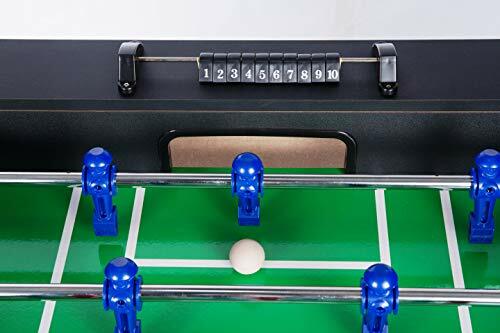 Straight away, the table inspires confidence in the player and you will see that it can stand up to the most competitive foosball matches with no trouble at all. The design quality extends throughout the table, making this one of the most professional foosball tables available to the average consumer. The thick legs have pads at the bottom, which keep the table stable and ensure it doesn’t scratch any delicate surfaces. You’ll also find the sliding scoring system and front ball return slots that you have used with the best foosball tables are present. 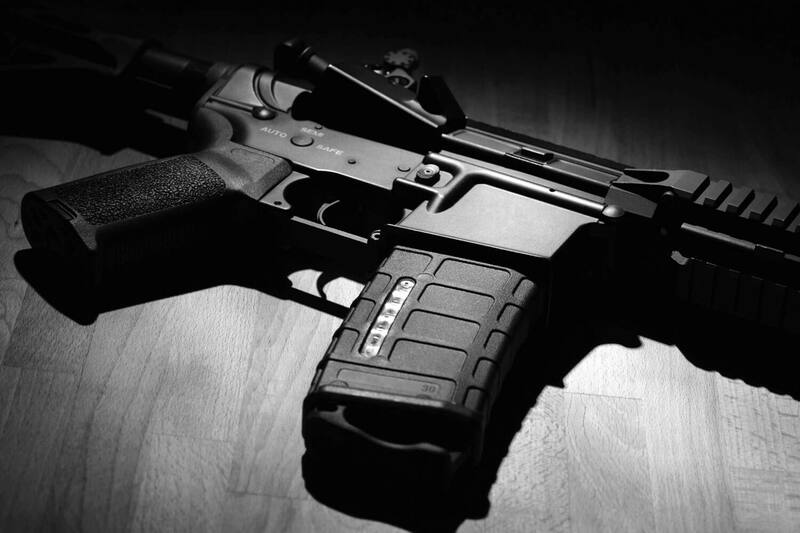 Beyond that, the KICK table offers some of the best accessories on the market. Not only do you get 4 foosballs, but the table also comes with two sets of players for each side, so you have replacements available should something go wrong. Further, you can choose between the three-goalkeeper set-up available with the other tables on this list and the single goalkeeper set-up that is more familiar to many players. The manufacturers have great confidence in the product and have made customer service a priority. Each KICK table comes with an unlimited lifetime warranty and the manufacturers will respond quickly if you raise any issues. Quality defines everything about this table, from the product itself to the support you receive. All of this does come at a price. You will pay upwards of $500 for the table but that is a small price to pay when you consider the table’s quality and durability. Better yet, it comes with free, same-day shipping. Though each of these tables offers plenty to love, there is only one choice when it comes to picking the best. 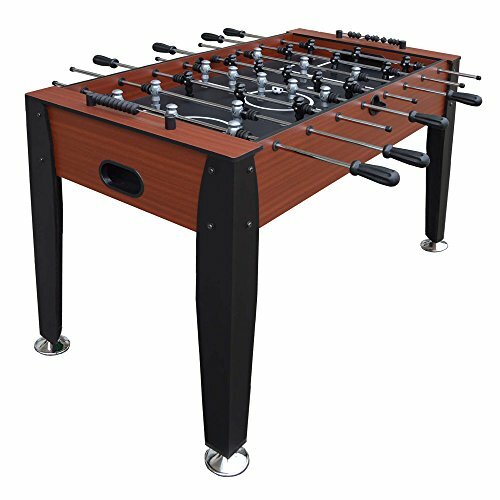 The KICK Foosball Table Triumph, 55 In offers everything you could want from a foosball table. 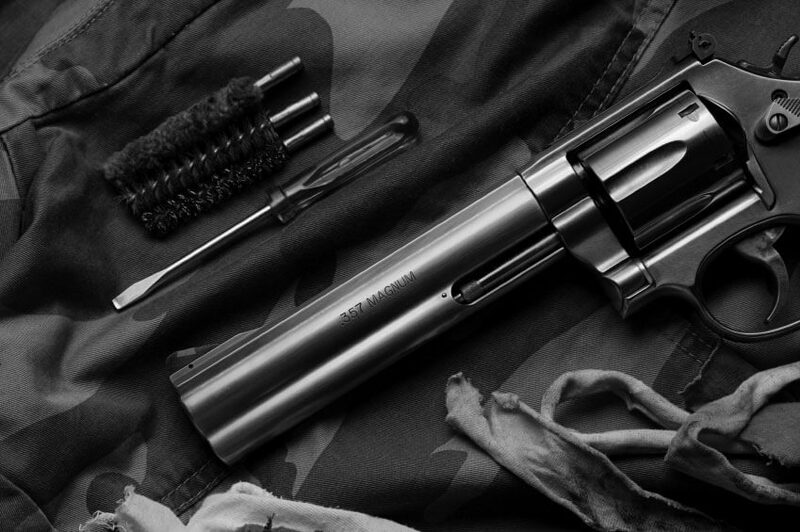 Quality construction, perfectly functioning parts, and several accessories combine with superb customer service and a commitment to quality in the form of a lifetime guarantee. That isn’t to say the other two tables don’t have something to offer. The Sport Squad FX40 Foosball Table is ideal for children and those buying on a tight budget, whereas the Dynasty 54-in Foosball Table offers a great mid-range option.